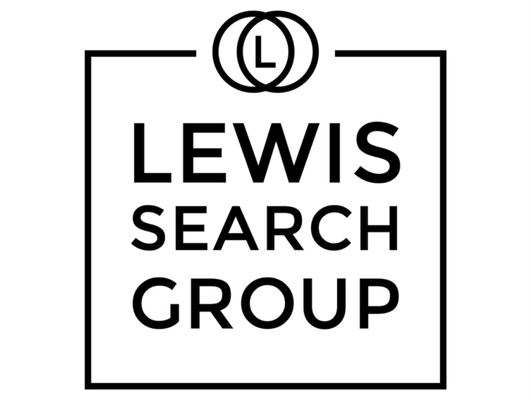 Lewis Search Group is currently recruiting to hire a Global Library and Information Services Operations Analyst for an exceptional career law firm opportunity.The Global Library and Information Services Analyst works with the Director as a strategic enabler for the operational management of the firm’s global Library and Information Services strategic plans – with particular focus on content vendor relationships aligned with the practice of law and the firm’s Practice Development strategies. Responsible for a range of activities including coordinating content trials and LIS system roll outs, preparing awareness campaigns that feature change management, process improvement and governance. Works closely with Global Procurement to effect procurement as a strategy along with the Library Operations Manager-Americas, Global PD Leads and Practice Development. Activities include project management, governance, process improvement, content evaluation, awareness campaigns and global content training activities. • Work with the Director in support of content vendor relationships, gathering business requirements, and content management goals. • Participate in Practice Development strategic initiatives and working groups such as News and Alert management, Mobile and a Global Research Intake System, acting as a project management coordinator to ensure timeliness of deliverables. • Ownership and management/storage of reports, strategy documents and presentations etc. to ensure they are accessible and managed in appropriate ways. • Organize Key Vendor relationship meetings, business reviews, procurement objectives including scheduling, budgeting, agenda management. • Attend and participate in meetings to ensure success and track progress. • Liaising with global library team, knowledge solutions team, procurement and finance to monitor requirements specifically related evidence of success. • Participate in content demonstrations and evaluate content with the Director and LIS Research Librarians in accordance with firm strategy. • Lead the governance and process requirements for content trials by gathering feedback for next steps and integration aligned with content goals. • Prepare materials for global LIS meetings and other key events and ensure that materials are distributed and managed as necessary. • Establish and maintain sequencing and scheduling of team calls, working groups, and other meetings as necessary to develop improved team collaboration, awareness building and status reporting across the Library and Information Services team. Support the effective running of these ‘events’ by managing agenda development and distribution. • Co-ordination of budgeting process and outputs for review and approval by the Director and Chief Knowledge Strategy Officer (CKSO). • Remain on top of timelines and budget processes and effectively communicate requirements and deadlines to wider team with particular focus on those with responsibility for budgeted programs etc. • Provide daily support to the Director for finance-related issues and questions. • Co-ordinate presentation materials based on quarterly finance reports to highlight operational performance and progress against budget. • Support finance related processes in relation to external vendors and third parties. • Act as an additional point of contact for the Library and Information Services team to answer questions on behalf of the Director including Practice Development programs where appropriate. • Develop an awareness of all business issues with which Library is engaged. • Liaise with other business support functions as necessary in course of duties. • Minimum 5 years’ experience with a legal content provider or law firm. • Develop strong effective business partner to lawyers and other business support functions. • Excellent stakeholder management skills and ability to establish strong working relationships with individuals and groups across all levels. • Experience working across a global, complex, and matrixed operating environment. • Team player with proven ability to build and develop relationships.